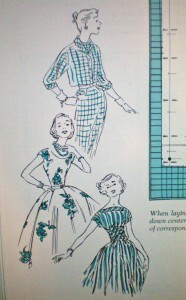 This is a vintage 1961 dressmaking manual produced by Singer, as presented in their sewing centers. It promises just eight easy steps to learn dressmaking. 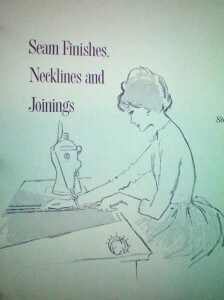 This is a great sewing manual. It’s divided into short chapters, with brief summaries to remind you of what you’ve just learned. My copy is ring-bound, so you can open it flat and read it while you’re sewing, but it was also published as a hardback book. It’s fully illustrated with line drawings and diagrams that clearly demonstrate the techniques being taught. Despite the age of the manual, it doesn’t give a feeling of being dated, but rather one of classic timelessness. 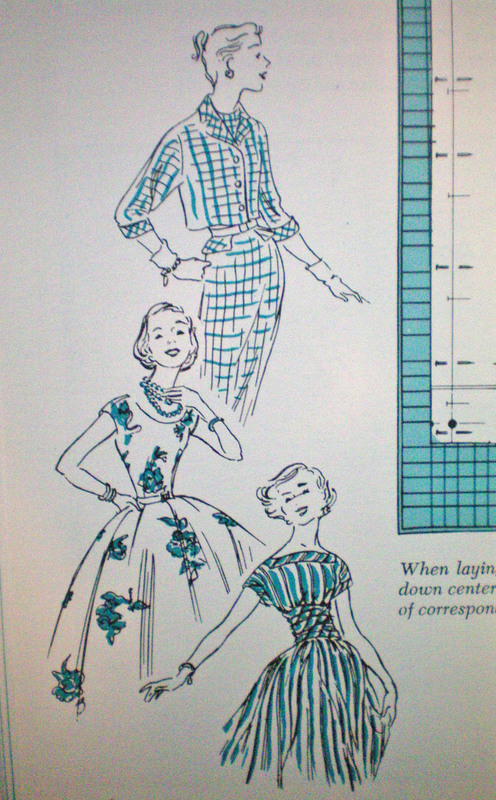 What I like best is that it really shows the quality that a home dressmaker was expected to put into her sewing. The techniques that it teaches include meticulous matching of prints and patterns, hand sewing wherever necessary to achieve the best results, piping to reenforce seams, corded buttonholes, and shaped, welted pockets, all designed to enhance the overall style and quality of the garment. Today’s ready-to-wear garments seem disposable in comparison! The only thing that concerns me is how fragile the pages are, particularly their hole-punched edges. It’s all too easy to flip a page and end up tearing it. This doesn’t detract from the book, but I would encourage the reader to be cautious and gentle when reading the ring-bound version. 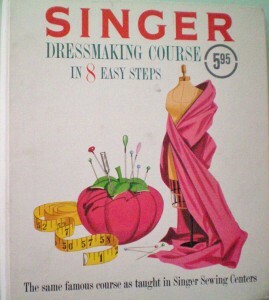 For a look into the past, and an excellent sewing education, I recommend this book. Be careful with its pages and enjoy the high quality of what you’ll learn. It’s a wonderful example of how sewing ought to be taught. 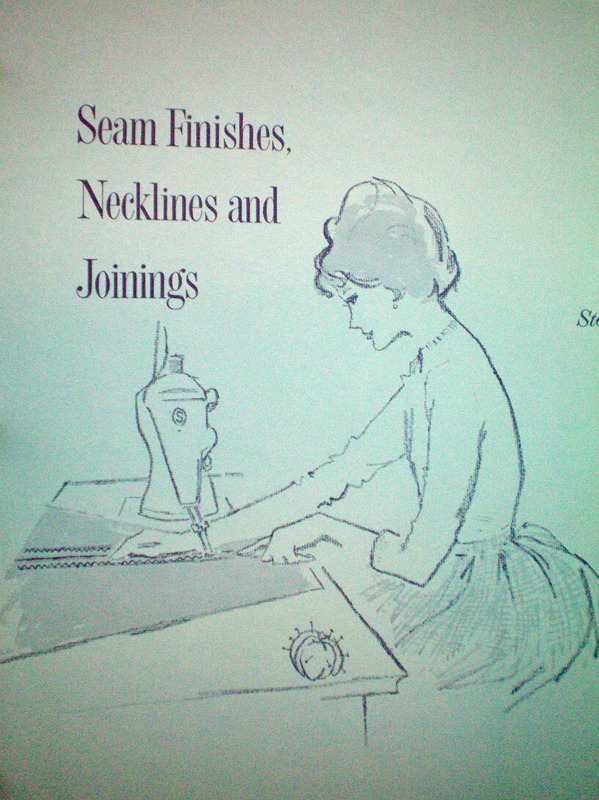 Have you read any vintage sewing manuals? Which is your favorite?